Since their formation in 2010 Unbound had invested little in their brand strategy and identity, but with a growing company and market – the business needed to establish more clarity, cohesion and confidence throughout. Purpose were commissioned to focus the brand positioning strategy and create a new brand identity that would better represent the dynamic business. And, following creation of the basic identity principles, assets and guidelines – to provide art direction and consultation to support roll-out by the Unbound in-house design team. 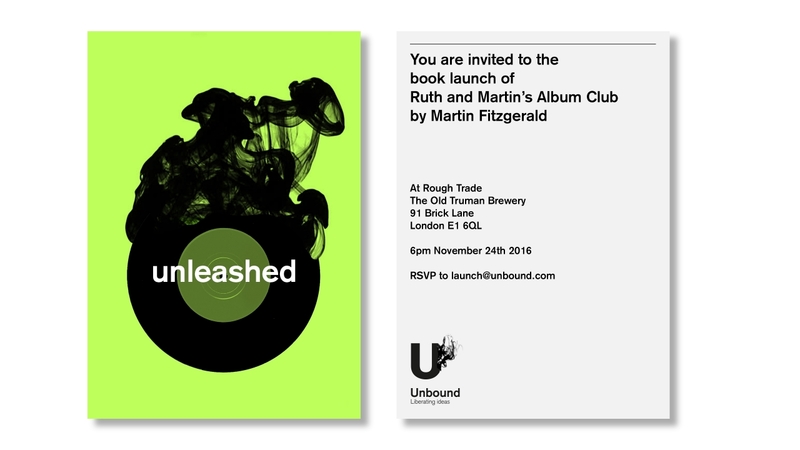 Unbound are the antidote to the commercial constraints and processes of the traditional publishing model. They are enablers, helping people to turn uncompromised creative thinking into brilliant books. The Unbound brand name is spirited and ‘charged’ with narrative quality. With this in mind, we created the core thought: Liberating Ideas. Harnessing the emotive quality of the name and linking it to the central narrative of creative freedom. Authors: seeking creative freedom, Financial backing, a publisher with expertise/experience/connections, marketing and a fan base. Readers: seeking interesting books, choice, inspiration and a like-minded community. Backers: seeking involvement and looking to support the authors, levels of engagement, reward and recognition. They connect with these audiences primarily through digital media – creating a growing and loyal community. Informed by the ‘Liberating ideas' brand strategy we created a vibrant digitally focused identity for Unbound. Moving image is a key feature of the new brand language, maximising digital media and creating an identity that feels dynamic, disruptive and ever evolving. Progressive: a positive and constructive disruptor. Energising: inspiring and enabling others. 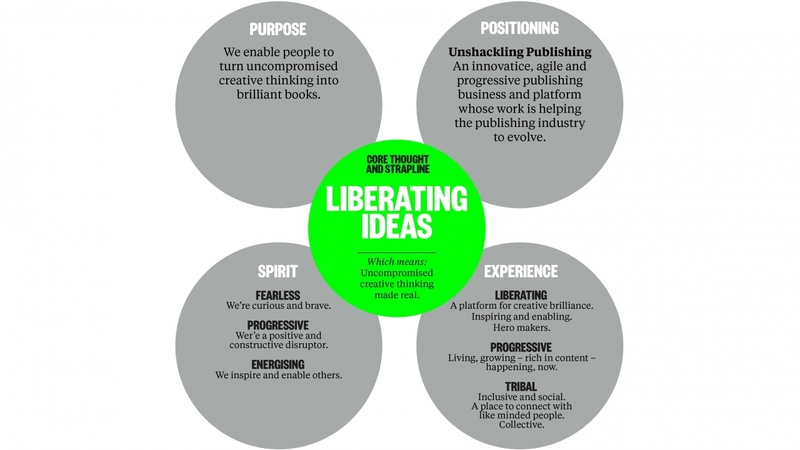 Liberating: A platform for creative brilliance. Inspiring and enabling. Hero makers. Alive with ideas: Living, growing – rich in content – happening, now. Tribal: Inclusive and social. A place to connect with like-minded people. Collective. It is Unbound’s direct dialogue between writers and readers which seems to have been missing from the publishing world, until now.